The Yankees’ success was driven by Ruppert’s executive style and enduring financial commitment, combined with Huggins’s philosophy of continual improvement and personnel development. While Ruppert and Huggins had more than a little help from one of baseball’s greats, Babe Ruth, their close relationship has been overlooked in the Yankees’ rise to dominance. Though both were small of stature, the two men nonetheless became giants of the game with unassailable mutual trust and loyalty. 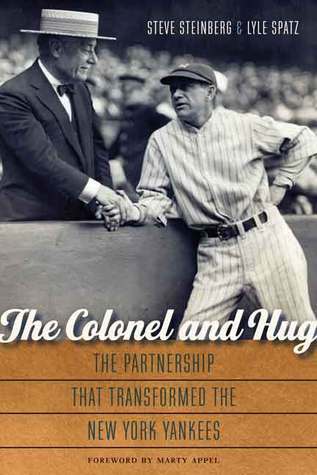 The Colonel and Hug tells the story of how these two men transformed the Yankees. It also tells the larger story about baseball primarily in the tumultuous period from 1918 to 1929—with the end of the Deadball Era and the rise of the Lively Ball Era, a gambling scandal, and the collapse of baseball’s governing structure—and the significant role the Yankees played in it all. While the hitting of Babe Ruth and Lou Gehrig won many games for New York, Ruppert and Huggins institutionalized winning for the Yankees.